We want to create community through elevating our art form; we want to create community through creating bold, audacious, and compelling performances and choreography. What excites me personally about Showcase is what excites me about Relay in general – seeing artists blossom through the nurturing collaboration, fellowship, and community of Relay. As an exciting month in the Seattle dance scene nears its busy finale, SeattleDances had the pleasure of reconnecting with Gabrielle Gainor – Co-Founder, Producer, and Choreography Curator for Relay Dance Collective (RDC), whose upcoming production Showcase, is on the books for this coming Sunday. A choreographic spectacle to kick of RDC’s fifth season, the informal production is an excuse to celebrate risk-taking, new voices, and the Collective’s core principles of community and diversity. Stella Kutz (front) with Ayako Shapiro and Megan Ess practicing for Warren Woo’s piece. Photo by Warren Woo. 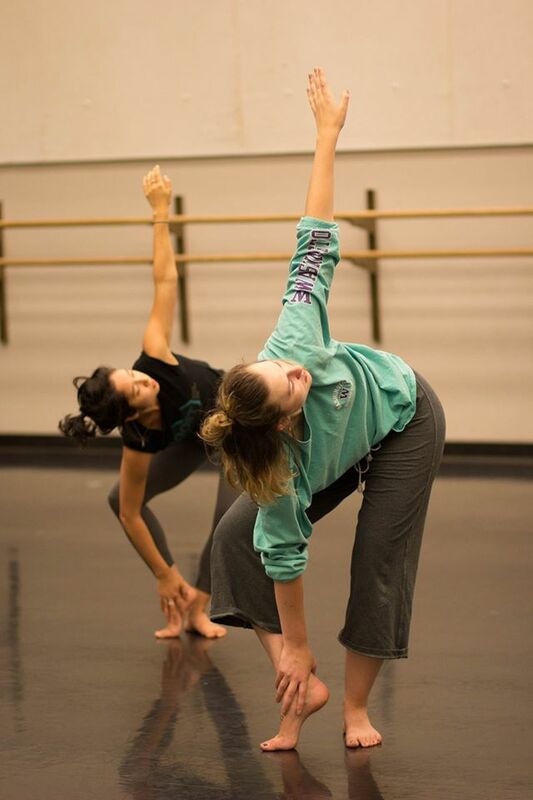 Ayako Shapiro and Megan Ess practicing for Warren Woo’s piece. Photo by Warren Woo. 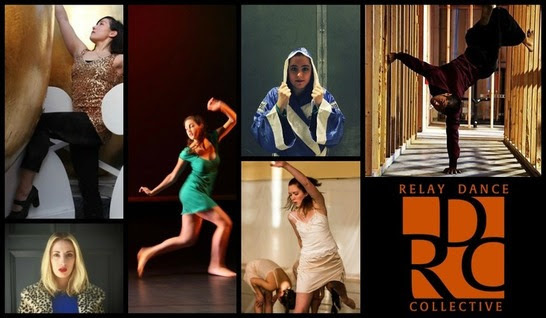 Those emerging artists in RDC’s upcoming program include include two UW dance graduates (Hailey Burt and Megan Erickson) and current UW student Warren Woo, RDC dancer and choreographer Jerene Aldinger, and CalArts dance student Lilia Deering. Gainor tells us that although all of the pieces fall within the modern dance genre, each of the Showcase choreographers will bring a unique approach to the repertory; Woo’s wave-like movement quality, Erickson’s Au Collective influence, and Burt’s “full-bodied dancing and floorwork” will contrast Deering’s California/CalArts-influenced work and Aldinger’s thematic focus on human aging and dementia. Gainor, who is herself a dancer and choreographer as well as a writer and journalist, will also be presenting a new work – a duet set on Austin Sexton and Truong Nguyen (a.k.a. drag queen Miss Saigon Brown), whose personas meet as strangers in a public place only to be overcome by imaginative ideas and layered perceptions of self-identity. “It is a celebration of fabulousness in all its forms,” Gainor describes, “An acknowledgement of the queen within.” Using a cinematic approach combining classical Bach repertoire, theatrical costuming, and two fabulously talented divas, Gabrielle Gainor’s newest work sounds like a visual dreamscape into the bedazzled wonderland of an open mind. Performers who are featured in RDC’s Showcase. 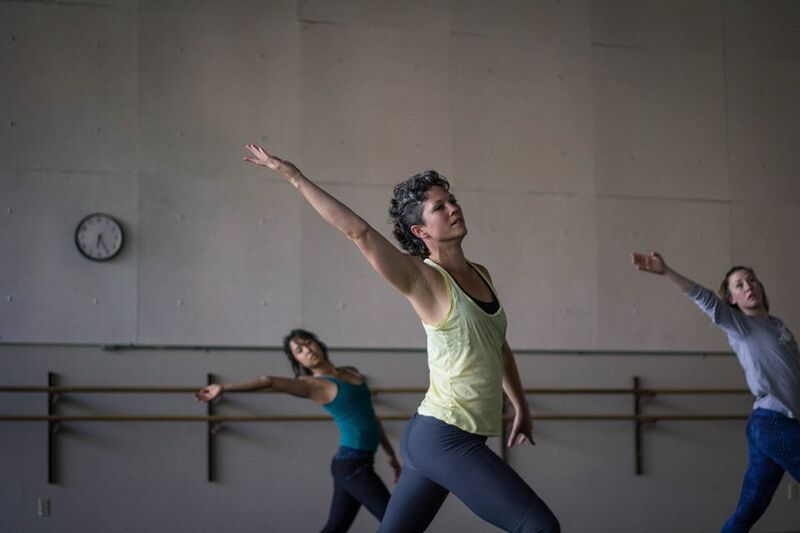 There is no doubt that Relay Dance Collective will stay true to its values with Showcase commencing its fifth season, offering new voices a chance to speak, seasoned bodies space to dance, and audiences a glance into the experimentations of some of Seattle’s less known choreographers. Join Gabrielle Gainor and her fellow artists this Sunday only for Showcase and the reception to follow. Showcase runs one day only, September 25, 2016 at 2:30pm and 6:30pm at Dance Fremont’s Studio Theater. For tickets, more information on Relay Dance Collective, and Gabrielle Gainor, check out their website here.